You can break the cycle of generational dependence without losing your Ubuntu. Most young people start work burdened by student debt and are simply never able to save money. To cover arrears, they take out more loans and get stuck in a cycle of debt that can last their entire lives when not dealt with properly. To add to the list of expenses, taking care of the extended family’s household expenses (called black tax) is a responsibility that is hard to avoid. The lack of financial education makes matters worse. Move! speaks to financial advisor Rene Maritz and Dave McCall, an executive of Investments, Retail and Business Banking at Nedbank, on ways to deal with black tax without putting a strain on your bank account and ruining any relationships. Instil good financial habits in your family. “The only way to lessen the effect of black tax is to manage your finances better, with educating and taking care of your finances, every generation after you will be more financially secure than the one before,” says Rene. Ask how you can best provide in securing their needs without spending too much: Only provide for the necessities. At the end of the day, your goal should be to break the cycle of black tax without losing your ‘ubuntu’. Enlighten your family on the importance of financial planning: Emphasise to them about the importance of saving for retirement, death of family member, or for their education. It will help them understand the concept of lowering their demands. 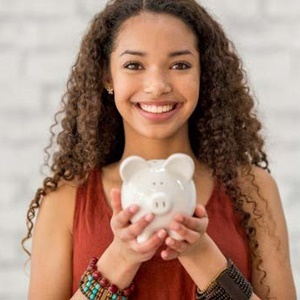 Everyone knows saving is important for minor emergencies or major life changes, but it is just so difficult putting that cash away for a rainy day. Dave says that making small adjustments such as saving, budgeting, managing your banking costs and cellphone bills to the way you relate to your money can make a big difference.